Sudha Setty became Dean of the School of Law in 2018, and has served on the faculty since 2006. Dean Setty has taught courses in Constitutional Law, Law & Terrorism, National Security & Government Accountability, Contracts, and Business Organizations. She was a visiting scholar at the University of Cape Town Faculty of Law in 2018, a Fulbright Senior Specialist at the Chinese University of Hong Kong Faculty of Law in 2014, and a Visiting Professor at the University of Connecticut School of Law in 2011. 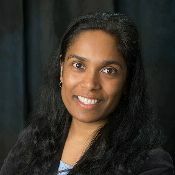 She was awarded Western New England Law School's Catherine J. Jones Professor of Year Award in 2009, 2016, and 2018, was recognized in 2015 as Trailblazer by the South Asian Bar Association of Connecticut, and received the 2017 Tapping Reeve Legal Educator Award from the Connecticut Bar Association. In July 2018, she was elected to membership in the American Law Institute. Dean Setty's scholarly work focuses on comparative analysis of separation of powers, rule of law and national security. Her monograph, National Security Secrecy: Comparative Effects on Democracy and the Rule of Law, was published by Cambridge University Press in 2017. She has written dozens of law review articles and book chapters on national security and the rule of law, as well as editing the 2014 book, Constitutions, Security, and the Rule of Law. She currently serves on the editorial board of the Journal of National Security Law and Policy and the executive committee of the American Society of Comparative Law. Prior to joining the faculty of Western New England, Dean Setty was a litigator with the New York firm of Davis Polk & Wardwell, where she focused on antitrust and securities regulation matters. She served as defense counsel in civil, regulatory, and criminal matters involving national security issues, including terrorism financing investigations and lawsuits, and a pro bono matter challenging sentencing guidelines for those convicted of terrorist acts. Her pro bono practice also included litigating federal civil rights cases, working on state constitutional challenges to immigration-related ballot initiatives, and the mentoring of New York City high school students. Dean Setty graduated as a Harlan Fiske Stone Scholar from Columbia Law School and received her A.B. in History (concentration in comparative civil rights) with honors from Stanford University. Dean Setty is the first woman of South Asian descent to serve as dean of an ABA-accredited law school. Sudha Setty, Surveillance and the Inversion of Democratic Transparency, in DEMOCRACY AND SECURITY: A HANDBOOK (L. Weinberg and E. Francis eds., forthcoming Routledge 2019). Sudha Setty, Litigating Secrets: Comparative Perspectives on the State Secrets Privilege, in NATIONAL SECURITY, CIVIL LIBERTIES AND THE WAR ON TERROR (M. Katherine B. Darmer & Richard D. Fybe eds., Prometheus Books 2011). Sudha Setty, Litigating Secrets: Comparative Perspectives on the State Secrets Privilege, in STATE SECRETS PRIVILEGE (M. Bhavani ed., Icfai University Press 2009). Sudha Setty, No Place for Secrets: Balancing National Security Interests and the Need for Transparency of the Law, 29 L'OBSERVATEUR DES NATIONS UNIES 151 (2010-12) (solicited article for an issue on Le Secret (The Secret)). Sudha Setty, Islam On Trial, BOSTON REVIEW (Feb. 27, 2017). Sudha Setty, The Dangers of National Security Secrecy to our Democracy, AMERICAN CONSTITUTION SOCIETY (Dec. 4, 2017). Sudha Setty, The Plenary Powers Doctrine is Not a Blank Check, AMERICAN CONSTITUTION SOCIETY (Sept. 28, 2017). Sudha Setty, State Secrets Might Get a Little More Secret, JUST SECURITY (October 17, 2014). Sudha Setty, Amicus Brief, United States v. Johnson, No. 14-CR-390-1 (N.D. Ill. 2014).